Aromas of Orange Blossom and a balanced structure with hints of lanolin. A Intriguing combination at first of the minerality of the Sauvignon Blanc followed by the warmer flavours of the Semillon make this a very diverse wine. 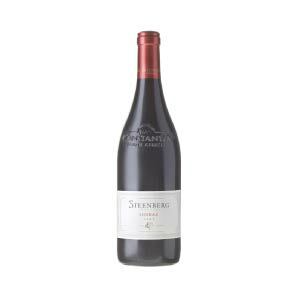 6 Bottles of Steenberg Magna Carta. A declaration of the excellent quality, elegance and style and the best Steenberg can produce. 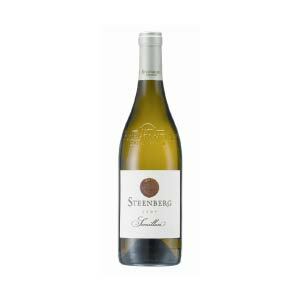 Two of Steenberg’s best white wines, being their Semillon and Sauvignon Blanc are harvested and vinified separately and then carefully blended together. Aromas of Orange Blossom and a balanced structure with hints of lanolin. A Intriguing combination at first of the minerality of the Sauvignon Blanc followed by the warmer flavors of the Semillon make this a very diverse wine. The blend is made up of Sauvignon Blanc (60%) and barrel-fermented Semillon (40%). The two varieties are harvested and vinified separately according to their unique style before blending. The Semillon grapes are left to hang on the vine as long as possible to achieve the full ripeness that gives the wine its distinctive dry apricot and tangerine character. 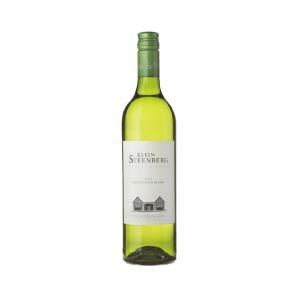 The resulting Semillon is richly fruity with smoky overtones and a creamy palate. Multiple layers of flavour coat the mouth and flow through into a lingering finish that delights and leaves you eager for the next sip.